This promises to be the most beautiful olive wood French spoon you'll ever see. A 12″ long cooking spoon made of olive wood, patterned by the natural grain of the wood. 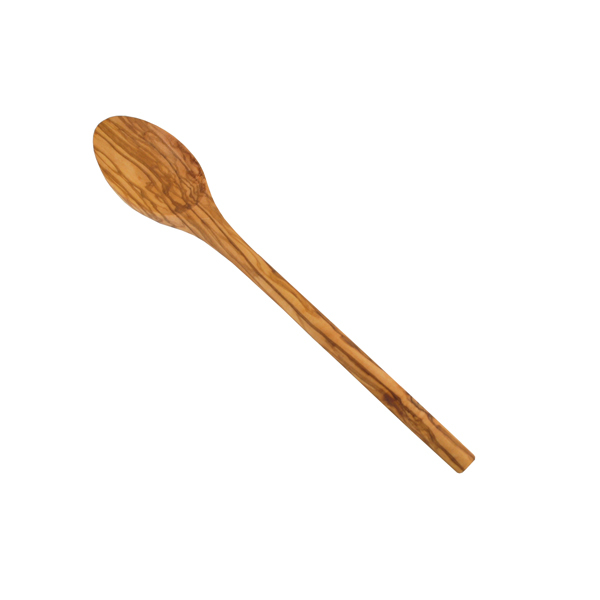 This olive wood spoon is a classic French design. Olive wood is ideal for food preparation as the natural oil content of olive wood means that it kills bacteria. 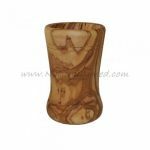 It is therefore more hygienic than other wood or plastic products. All our products are finished with olive oil and so will not taint any food it is in contact with. These hand-made pieces are carved out of a single piece of wood so are rare as well as being unique, beautiful and durable. These olive wood spoons make a great gift alongside our other olive wood utensils.